Announcing Six New SS Coaches in SC/NYC, Hong Kong, Dublin, Northampton, Doncaster & Oxford ~ Feel For The Water! Advice & Tips to Improve Your Swimming. Swim Smooth are excited to announce that six more Swim Smooth Coaches have completed their extensive training and have just become certified. Lance is a US Masters Certified Level 3 Swim Coach and is currently the Head Coach of Palmetto Masters Swim Team in Mount Pleasant SC. Prior to this he was the Head Coach of the Chelsea Piers Masters Swim Team in NYC. Lance regularly visits NYC to meet with swimmers and provide Video Analysis and Stroke Correction. Lance is the first and currently only Swim Smooth Certified Coach in North America and is proud to fly the flag stateside for us! Dominic is our new Swim Smooth coach in Hong Kong and is a great swimmer himself, competing in 4 World Masters Championships in 2008, 2010, 2012 and 2014. Dominic finds himself swimming faster the older he gets - something he credits to better Swim Smooth technique and training methods! If you live in Hong Kong or are planning a visit, book in for a session with Dominic today. We're also very proud to announce our very first coach in Ireland, Sinead McBreen. Sinead offers the full complement of Swim Smooth coaching to take your swimming to the next level, specialising in technique correction via video analysis and squad training sessions. We've always had a huge interest in Swim Smooth in Ireland and Sinead now brings our expertise to Dublin. Until recently Annie was part of our in-house coaching team developing our suite of coaching products but has now setup her own coaching base offering you the full range of Swim Smooth services including video analysis and stroke correction, beginner sessions, squad sessions and open water training! Based in Oxford and Henley-on-Thames, on-line video analysis of your stroke is also available. Annie regularly runs specialist squads, clinics and video analysis sessions in Dubai, book now for August. With a swim squad based in Northampton (for beginners and up) providing a year-round programme of everything you would expect of a Swim Smooth certified coach - get ready to improve your swim stroke and reach your goals! 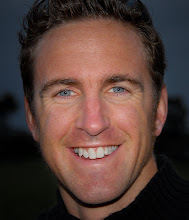 As well as face to face coaching, Gavin provides on-line swim video analysis wherever you are in the world. This can provide you with the feedback and guidance you need even if you can’t get to a 1-2-1 session. Morgan is an experienced open water swimming and triathlon coach having been at the forefront of the development of open water swimming and triathlon for over 10 years. Morgan's base in the very heart of Yorkshire is the stunning Blue Lagoon where he regularly runs open water swim squads and workshops in the summer months. Throughout the year Morgan runs regular pool based swim squads, workshops and video analysis stroke correction sessions at numerous venues around Yorkshire. We're sorry if we don't yet have a coach in your area. We have another talented set coming through the selection and training process right now from all around the world but this does take time - we can't rush the training process, the quality of our coaching is everything. Do you have plans for a coach in Melbourne? Race The Brownlee Tri On September 26th!